p.s. 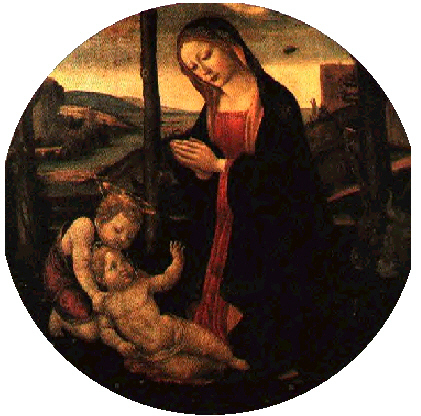 If you look at the painting, on the right background from Mary and Baby Jesus, you will see a man and his dog looking up into the sky, see the aerial object they are viewing. thanks. B. UFO hovering below and to the right of the opening in the heavens. C. The man and his dog, pointing at the UFO (to the right and below the UFO). IS there is something missing? Yes! Look carefully just below and to the right of the man and what many believe is his dog. (C). This is what appears to be a black, horned devil! This is one very unusual artifact, which is overlooked by most media documents. The question is, WHY? 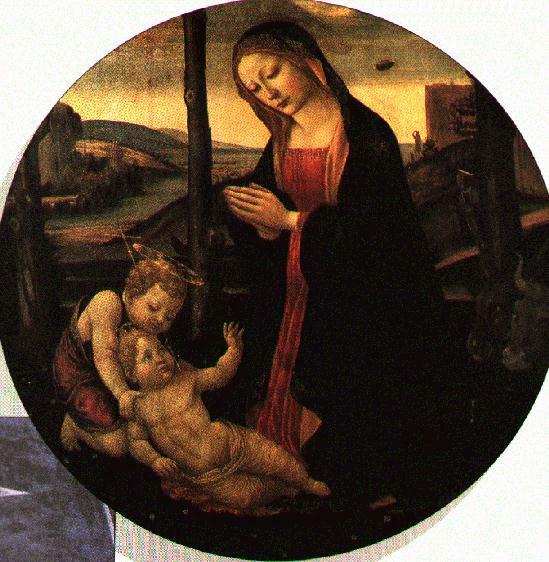 This "devil" appears to be looking at the Madonna and Jesus in the company of the winged cherub as the man and his dog look away! This could be another way for the artist to record a historical event. The HOLY BIBLE chronicles the ongoing conflict between Satan and Jesus Christ from Genesis through Revelations. We did a PSD screen catch, which converted it to a jpg. Then, the .jpg image was converted to a bmp file, to clean up the border with MS Paint. We then opened it in Kodak imaging, and brought it back to the original 100% size. Finally, we did a PSD screen catch and stored it as a jpg file. The new jpg (cleaned) image file was uploaded, as you see it now.